The island Karön is located just 200 meters off the coast of Ronnebyhamn. 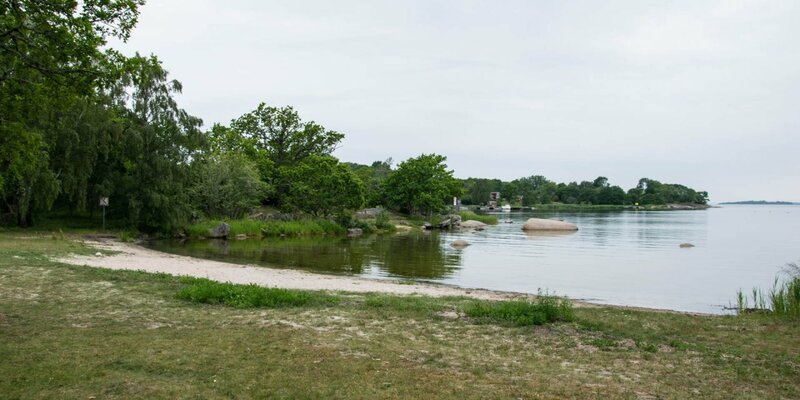 It is the largest island in the archipelago of Ronneby and a very popular summer recreation area. The 45-acres island is car-free, almost completely wooded and crossed by several hiking trails. 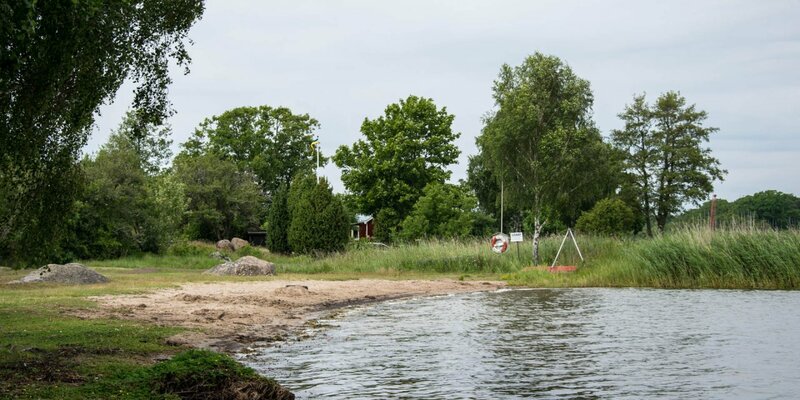 About 150 meters southeast of the ferry pier is the approximately 100-meter long sandy beach Karöns Badplats with a gently sloping shore and a long jetty. Within sight of the ferry landing next to the guest harbor Karön is the well-known restaurant Karön, which is only open in the summer. It was opened in 1877 as a so-called Schweizeriet (alcohol serving café) and is the oldest restaurant in Blekinge. Spread over the island are beautiful old wooden mansions from the 19th century, which were once built by wealthy citizens as summer residences. These villas, of which a total of 14 were built since 1885, are all in the so-called Swiss style with typical, ornate wood decors. 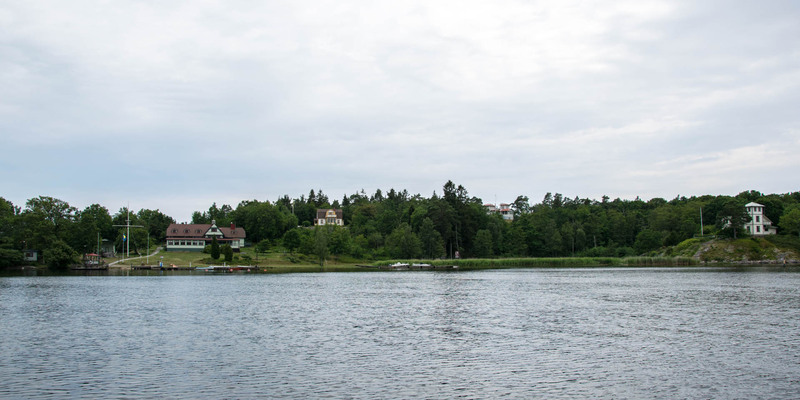 The reason for this accumulation of exclusive buildings on an island, which until 1870 was used only as a pasture, is closely related to the history of the spa town Ronneby Brunn, which has been a hotspot for the rich and famous since the 18th century. 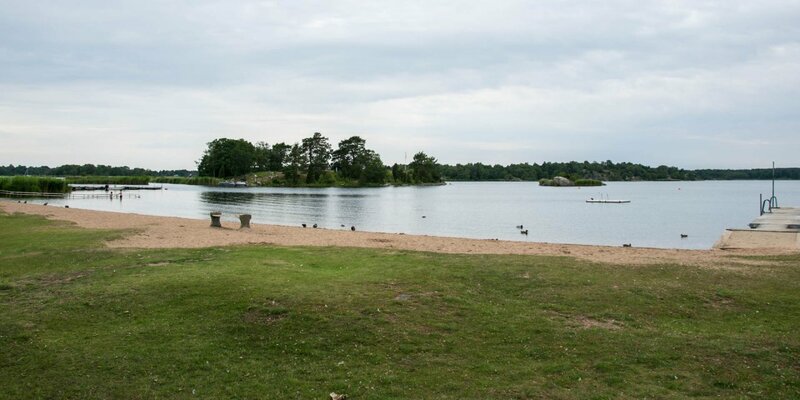 From the middle of the 19th century, bathing in the sea became the new ideal of a better society and Ronneby Brunn took the wishes of its clientele into account with the construction of a cold bath house on Karön. At that time, the distinguished spa guests could board a steamboat near the spa park, which brought them downstream on river Ronnebyån and the subsequent short distance to the island. Since the 1950s, there is a small cottage village on the northwestern tip of the island. It is still in operation and consists of 15 simple summer huts in the style of cabins. Like a campsite, there are showers and toilets in a common service building. If not with your own boat, you can reach Karön by the ferryboat Karölina after a five minutes crossing from Ekenäs pier in Ronnebyhamn. The boat is available only daytimes during the summer months from early June to late August – in the high season every half an hour.